FMW has been running for 3 years, and is one of the best feds on the web. If you're looking for an original, quality fed with great writers and an experienced staff, then FMW is the place for you. This website is one of the greatest e-feds around has many active roleplayers and a great graphic program. The shows take place on Thursday and we also have PPV's. This site is loads of fun and you will enjoy it throughly. Welcome to the Thursday Night Wars. You heard of the Monday Night Wars well Smackdown is moving back to Thursday Nights and will compete against the newest televised organization, TNA Impact. Thursday Night Primetime will be kicked off. A great fed once over 100 members. Its now been revamped, reopened and is starting off great. Come check it out. REVO - 2 years & counting! A new Wrestling E-fed that is in real need for Graphics managers and wrestlers. Founder is Experianced. For over 3 years, PWE has been redefining what it means to be an E-Fed. Check us out today! Total Annihilation Wrestling Is A Great Federation That Just Keeps Getting Better! This Is A Simulator Fed Run By RP. You Have To RP For Matches But Not RP The Matches. This Fed Allows CAW Character Only. Creativity Drives A Good Federation. An up and coming efed, with two weekly shows, Raw and Smackdown! All superstars are allowed, from real superstars to CAW's! Join quick, before your favorite superstar gets taken! 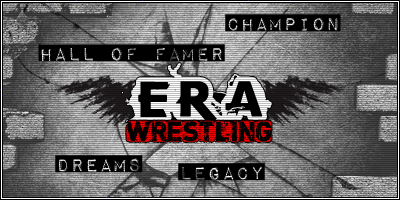 ERA Wrestling is for Rpers who love the game, we also will work with you if your life is busy. Please sign up today! Do you bleed green?! We do.